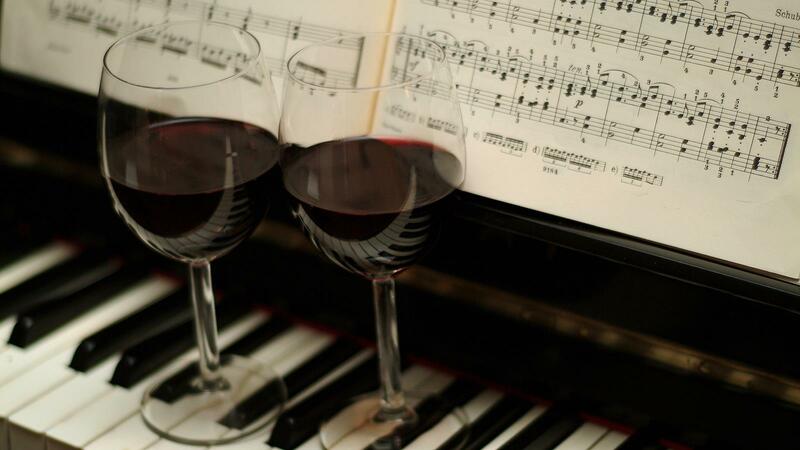 Try tuning up for your next wine tasting with a favorite classical selection. I often think of wines in musical terms—and vice versa. And that got me wondering, can synergies with music make a wine in the glass better and add something extra to the music on the sound system? Sipping a wine that complements the music can do the same as a happy wine-and-food match. It can improve both sides of the equation. I can thank the late Burgundy vigneron Vincent Leflaive for setting me on this path. I like to tell the story of how, on my first visit to Burgundy in the 1980s, tasting through barrels of Leflaive's incomparable white Burgundies in his cellar, he taught me something about the music of wine. When we got to a comparison of two vineyards, both in Puligny-Montrachet, he explained, "Les Pucelles is Mozart and Bâtard-Montrachet is Beethoven." As a music lover, I knew exactly what he meant. Les Pucelles, a premier cru site, travels in charm and prettiness within a classical structure: Mozart. Chevalier-Montrachet, a grand cru, generally makes nobler wines, adding muscle and vigor to the mix of characteristics: Beethoven. The genres I listen to most are classical and jazz. I can also understand why friends who favor rock 'n' roll happily immerse their surroundings with heavy metal while consuming big reds like Syrahs and Cabernets. Although I grew up fascinated with rock music in the 1960s and 1970s, I found that most of it seemed better-suited to substances other than wine. Recordings of the Beatles, though, still offer the subtlety to go along with wines of their own complexity. Although some wines call to mind classical composers, more often for me it's an instrument, or a singing voice. The sound of a soprano, or high instruments such as violins and flutes, reminds me of dry, crisp white wines, like Sauvignon Blanc or Chablis. If it's a dramatic soprano, it might be trumpets. Mezzo-sopranos and instruments with medium-high range and richer texture, such as violas or reeds, evoke richer dry whites—think a typical New World Chardonnay or oak-aged white Bordeaux. Cellos and lyric tenors? Pinot Noir or Grenache. String basses and baritones or bassos? Syrah, Cabernet or Barolo. All this may not be as fanciful as it seems. A 2011 Oxford study found that participants consistently associated various wine aromas with corresponding snippets of piano, woodwind, string and bass instruments. I regularly use the terminology of sound in my tasting notes. Coffee, chocolate or toast elements in a red wine are "bass notes." I once called a particularly acidic wine "screechy." Wine writers regularly refer to "harmony," "tone," and wines that "sing." But music is more than a sound or a timbre. It involves density vs. transparency, complexity vs. simplicity, gentleness vs. power, consonance vs. dissonance, sweetness vs. astringency, rhythmic vs. flowing. All those words can be applied to both wine and music, and they can help decide on a wine to sip while listening. Despite Leflaive's insights regarding Mozart and Beethoven, asking what wine to drink with a specific composer can lead to confusion. With Berlioz, for example, are we talking about the exquisite delicacy of Les nuits d'été or the broad drama of Symphonie fantastique? For either piece I'd think about French wines first. I'd open a mature Vouvray in a sweeter style for the song cycle, to match the simplicity and softness of the music, but a young, vigorous red Bordeaux for the complexity and majesty of the orchestral work. And if I had a bottle of Leflaive Puligny-Montrachet Les Pucelles? Mozart, sure, but something bright and rhythmic, and maybe with not just one but two sopranos. Maybe "O guarda, sorella" from Così fan tutte or "Canzonetta sull'aria" from Le Nozze di Figaro. Sheer beauty in the high range, with silkiness and charm, just like the wine.